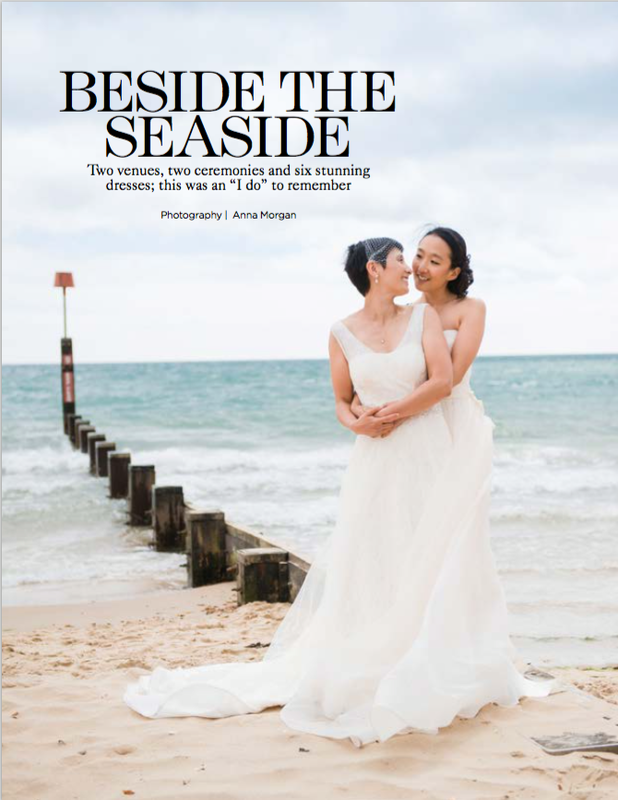 Heloise & Liz celebrated their union with a beautiful Bournemouth Beach Wedding and their story, along with stunning photos by Anna Morgan, was published in You & Your Wedding in 2013. 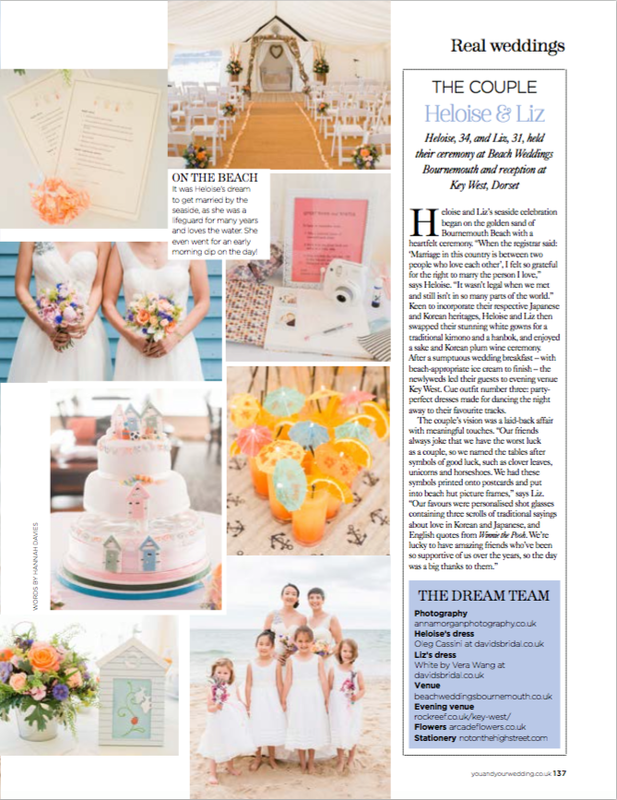 It was a real treat to have two lovely brides to style for one event! Both looked absolutely stunning in their dresses from online davidsbridal.co.uk, Liz in Vera Wang and Heloise in Oleg Cassini. After the marriage ceremony they both changed into a traditional kimono and hanbok in acknowledgement of their Japanese and Korean heritages – and again in the evening for the dancing!